Last Friday, July 13, 2012, I met up with Michael McMillian, a.k.a., Reverend Steve Newlin at the IDW booth at Comic Con. 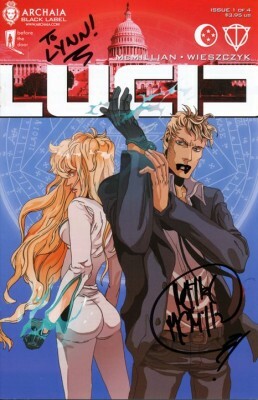 Michael answered a few of my questions in this short video interview about his True Blood character, his comic book Lucid and his continued work on the True Blood Comics. We previously reported that Lucid has been picked up by Warner Brothers, and Michael talks about it being made into a feature film. As Micheal reminds us in the video, Steve Newlin’s wife Sara was supposed to be in Season 5, but the scene got cut from episode 2. Here’s the script showing the scene with Sara Newlin that was cut courtesy of Inside True Blood’s Blog. 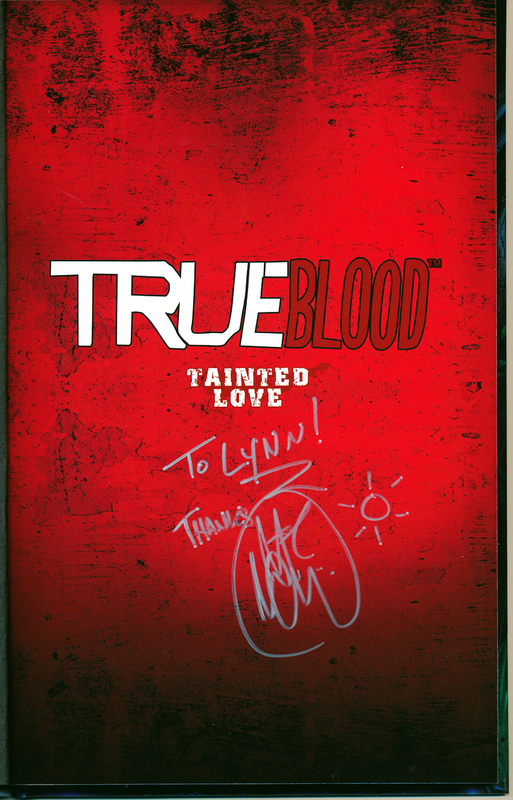 He signed my hard bound copy of the True Blood comic, The French Quarter and Lucid, as seen below. Thanks to Shadaliza for the video editing. Thanks, Lynn. Nice interview with Michael. It’s lovely to have the reverend back. He has certainly transformed … he’s a gay vampire American (I believe that was how he introduced himself to Jason). And he’s become the AVL spokesperson. Good luck with that, Steve. Too bad it didn’t work out for Sarah to be in episode 2. Exciting news that Lucid has been picked up by Warner Bros.
Great interview! Michael seems like such a sweetheart. Wishing him luck with Lucid. 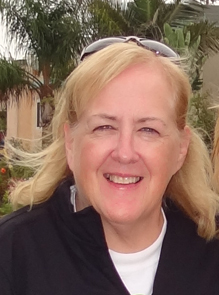 Wonderful interview, Lynn! Michael is very well spoken and it was a pleasure to hear what he had to say about the changes to his character.